Thank you for being a part of my (travel) community. Whether you read the blog, we’ve met on Twitter (or know each other personally) or you’ve joined my Twitter chat, I love hearing from you. Reading about other travelers’ adventures – a round-the-world journey, expat experiences, a weekend trip to a new destination, or a short-term international venture – is exciting. More than anything, I enjoy connecting with you and learning about your personal experiences with cultural differences/similarities, and how you adapt and grow during travel. Since launching a Twitter chat in November 2014, I have met wonderful travelers from all over the world who share their advice, stories, and so much more with our #CultureTravChat community every Thursday. In February 2015, Jessica Lipowski joined as a co-host, and I’m thrilled to have her on board (we have much in common, and she lives in my home country of The Netherlands in Amsterdam!). But…this blog/chat couldn’t exist without its greatest asset: YOU. Because of you, we’re able to discuss all types of cultural experiences – whether it’s history, religion, etiquette, the concept of home, and even revisiting your favorite destinations. Because of your blog posts, beautiful photos, and valuable (cultural) advice, I’m excited to travel more. 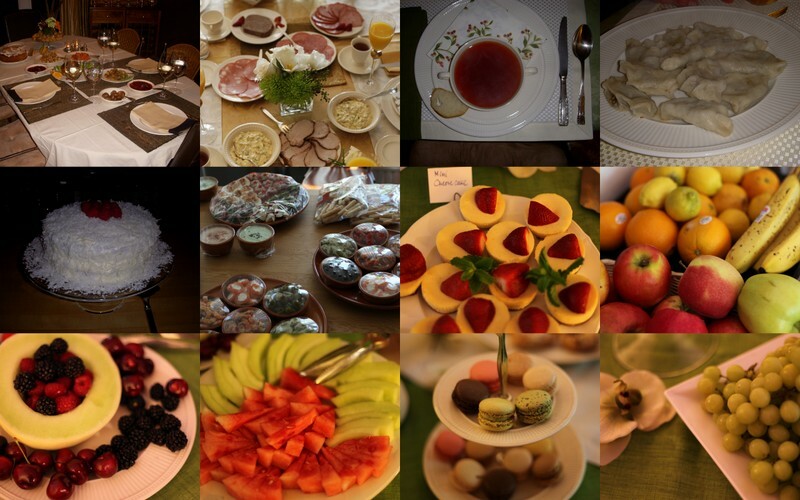 CultureTravChat grew because of you. This community has inspired me, and I hope it inspires you, to discover more of our world. We’re changing our hashtag to #CultureTrav. This will make posting your chat comments even easier (since it’s shortened to help with the character limit). If you are not on Twitter and would like to read our shared story, you can find recaps of our chats on Storify. 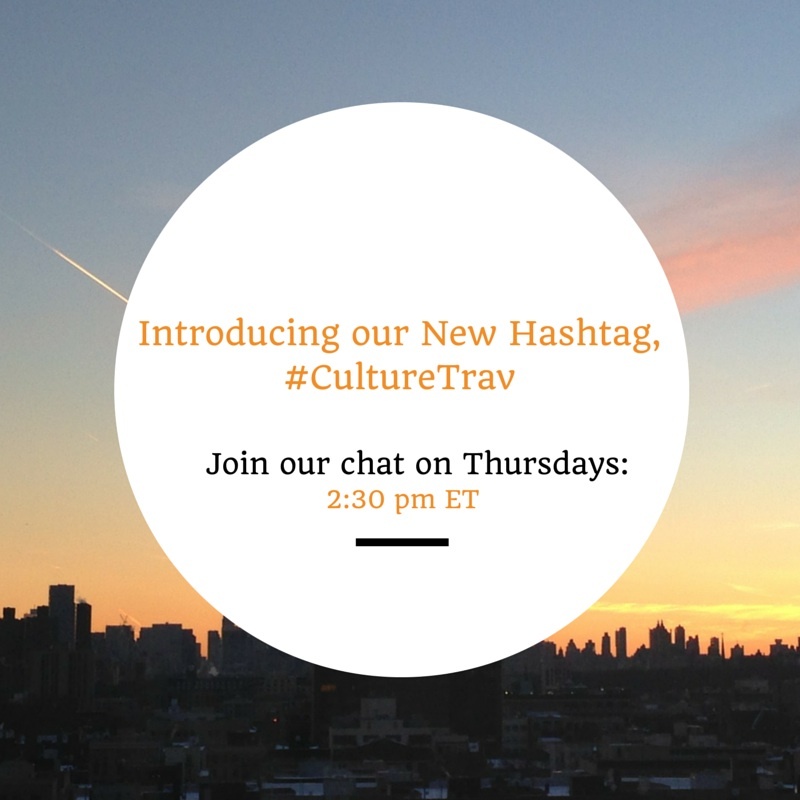 I encourage you to share your experiences using the new hashtag, #CultureTrav. That can entail posting a photo of a recent travel moment that particularly touched you, a link to your blog post about a unique cultural travel experience, your take on a foreign recipe, or even a video of your travels. We’ll soon launch a Facebook group where you can contribute, so stay tuned for details! Thank you again for following and for reading the blog and/or chatting with us on Thursdays! Great idea to cut it down – those four characters will make all the difference! Expanding into Facebook is a fantastic idea as well, can’t wait to be a part of it! I’ll try to be there this week! Great! Looking forward to having you! I took part in my first ever travel chat on twitter a few weeks ago. I stumbled across it accidentally while looking for pictures of street art in Paris. And, admittedly I did get a little confused and lost with the questions (People who know me will tell you that comes as no surprise! )… but I think I’ve got the hang of it now. So far these chats have been a great source of information, sharing and fun. It’s great to see a new one come along. I’ll certainly be taking part. Thanks so much! 🙂 Really appreciate it, and happy that you’ve enjoyed Twitter chats so far. It’s understandable that the chats can be a bit confusing at first, and they move at a quick pace. But, glad you’ve found them to be a good source of information. Thanks again for sharing the chat, and looking forward to having you to tell us about your travels!